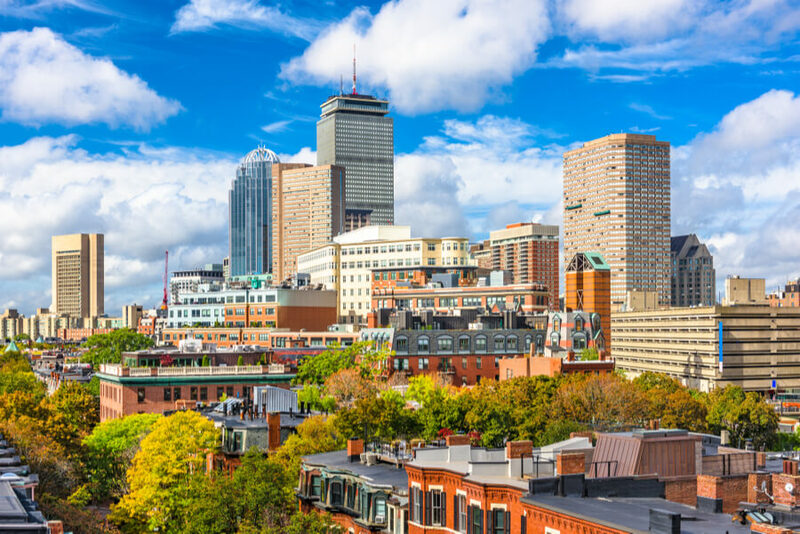 Located in Massachusetts’ largest city, Boston, Hope House Addiction Services is the largest and oldest treatment facility in Massachusetts for individuals dealing with substance abuse and chemical dependency issues. The center was founded by Jack Donahue, informally, in 1956 and was incorporated in 1965. Jack Donahue began the treatment enter when he started taking in up to three recovery alcoholics at a time into his South End of Boston apartment and offering them shelter and support. The organization has expanded to include five centers in the South End. In 2009, the organization built a new facility on 8 Farnham Street in Boston and as a result of the expansion, the organization now offers various levels of care for its clients including residential, outpatient programs and housing units. Additionally, the organization provides individualized treatment care and offers referrals to practitioners and community programs that have collaboration agreements with Hope House. The center also offers a Structured Outpatient Addiction Program (SOAP) at the residential stage which is offered through the organization’s outpatient department. The organization also offers a Medication Assisted Treatment (MAT) program for persons who may need medication during the period of their recovery and also provides a recovery center for men and women. The organization’s residential treatment program for men can accommodate and offer treatment for up to 90 persons at a time and the men stay in semi-private rooms (clients share rooms with one another). The rooms are set up in dorm-style and feature modern and basic décor. Food is served in the facility’s cafeteria and meals consist of typical American fare. The center also provides a computer lab for persons interested in conducting employment search and recreational areas for TV watching. The residential treatment program is spread into three phases. In the first phase, clients are assessed in regards to their specific medical, housing, and employment needs. Residents are required to be involved in a series of daily, intensive sessions consisting of step meetings and AA groups. At the second stage, clients begin the search for full-time employment. For residents who may not be able to work, house meetings are to be attended as well as engagement in volunteering activities. While clients keep attending group sessions, they are also required, in the third stage, to work with case managers in order to prepare for post-treatment life. The Outpatient Program offers services such as individual therapy, a relapse prevention group focused on maintaining sobriety, anger management courses, and 12-step education sessions. Hope House Addiction Services offers different phases of treatment and phase one is free. Phase two costs $476 for a 30-day treatment program but this price is subject to change as it is greatly dependent on the kind of treatment a client receives and the level of care. Donations are accepted and individuals interested can make a donation to the organization. Individuals are advised to contact the facility for more information on funding and payment options. The facility is accredited by the CARF (Commission on Accreditation of Rehabilitation Facilities) and all programs are licensed by the DPH (Massachusetts Department of Public Health). After completion of a primary program and aftercare or discharge plan is created to fit the patient’s unique needs. Funding for aftercare is done by the organization itself and it includes one-on-one counseling with a certified professional. The facility is located in Boston and is one of the oldest recovery centers in the state that offers treatment for little to nothing. The organization offers different ranges of treatments that are well-rounded and comprehensive, providing a multi-phase treatment process that is aimed that helping clients obtain complete and long-term recovery. Clients seeking treatment at a facility that offers multiple treatment programs and methods at a low cost will find Hope House to be a good option.